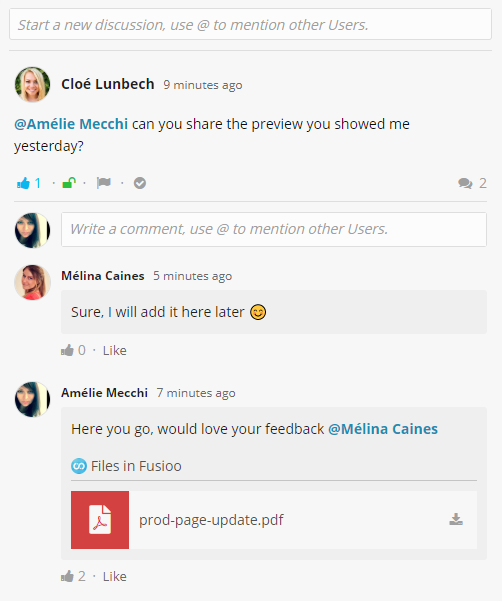 Fusioo discussions help you collaborate with your colleagues or clients on particular records. 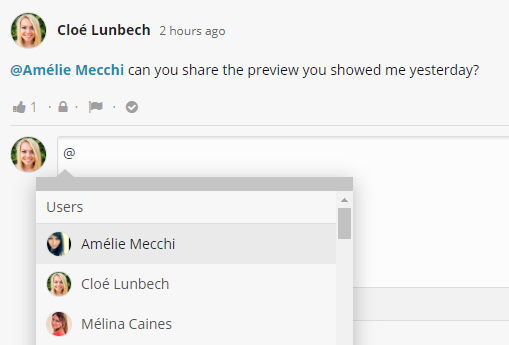 To create a new discussion you need to click on the discussions icon which opens the discussions in the side panel. The discussions you create are linked to a specific record. Discussions are usually created to discuss ideas or to keep track of decisions taken. Documents can be attached to any comment or discussion. Attaching documents can be done by both Regular and Lite Users. Note: Only discussions set as Visible to Lite Users can be accessed by Lite Users. If anyone adds a new discussion/comment to a record you're viewing, their new message will be available instantly and you can reply on the spot, without refreshing the page. 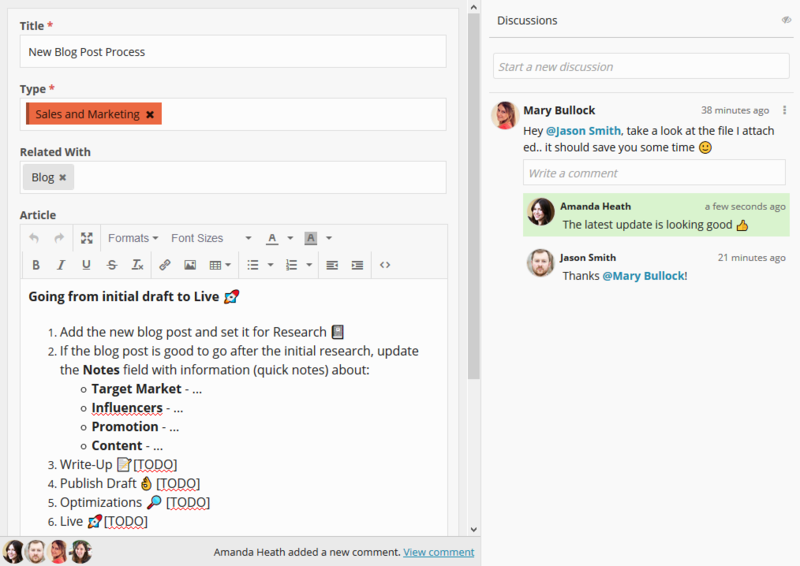 When you need to grab the attention of your colleagues, you can @mention them. To @mention them just type @ followed by their name. They will receive an instant notification in Fusioo which will alert them that they’ve just been mentioned. Following record notifications will keep you updated whenever a record is modified or a new discussion/comment is created. Sometimes, you might want to follow records automatically (e.g: when a task is assigned to you). 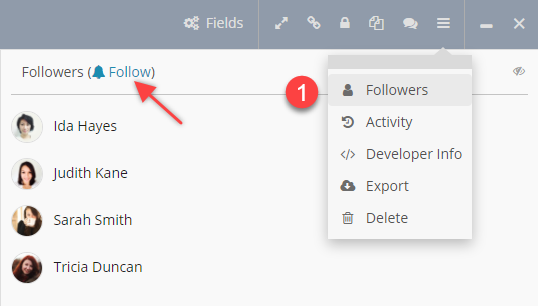 This can be done by enabling the Auto-follow record option on the Link to User Field. You can view all unread notifications by navigating to the Notifications page. Note: You can unfollow records to stop notifications. Once you unfollow a record, you won't be automatically added to the followers list - even when someone mentions you in a discussion. You need to manually follow the record again.